Liverpool Beatles Auction: It's In The Bag! If you bought something from any NEMS store you would get a bag to put it in. 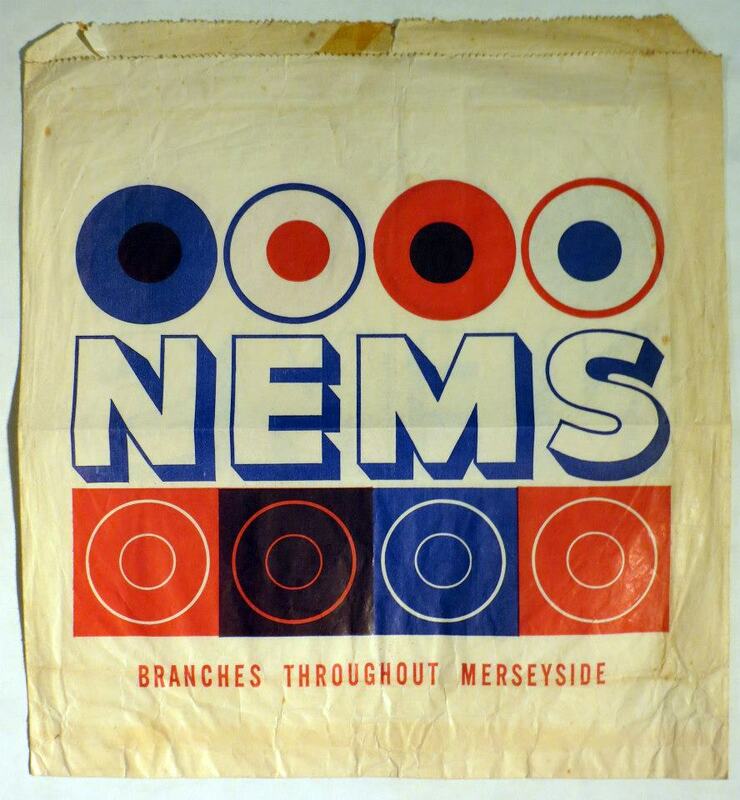 This 12" paper bag features record-like designs on it (the bag designs tended to reflect the store or department they were used in). Like most paper items, bags tended to be discarded once you had got your precious purchase home safe and sound. This one is expected to fetch between £40-£60 when it is sold in our auction in August.